Having a baby changed everything. The amount of sleep I need to function, the time I spend getting ready in the morning, how much I cry watching television commercials — it all changed when I became a mother. But one thing I hadn’t anticipated was how much more I would appreciate my own mother. We’re different, my mother and I. She’s organized and even-keeled; I’m a flurry of ideas and emotions. Those differences make us unique, but also leave me in continual awe of her. 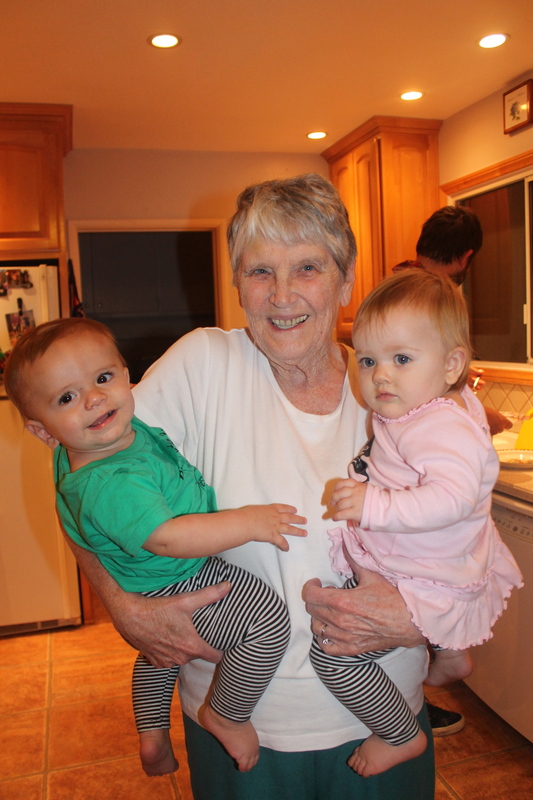 She Never Complained: Six kids, a job, and endless volunteer activities — my mom was busy. But she never complained about how much she had to do. Being a mom is hard. It’s harder than I could have imagined. Acknowledging or sharing that is okay, but I appreciate that my mother never made me feel like a burden. 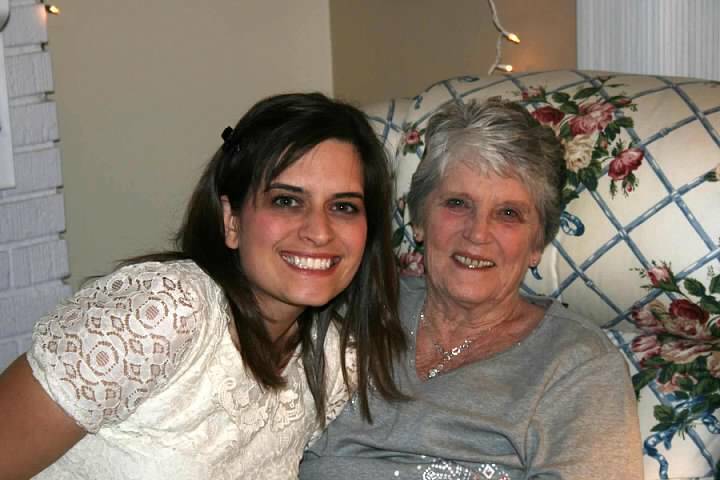 She’s a Gracious Hostess: From holidays to block parties, my mom is always the perfect hostess. She’s got the etiquette rules down, and is my go-to for what to serve and how much food to buy. She does it all without being stuffy or frenzied. Since I’m always frantic on party days, it’s something I admire about her. She Allowed Me to Be Different: Those high school years are rough, y’all. My mom resisted controlling my clothing choices and hair color, or forbidding my restrictive vegan diet. She let me be autonomous and try things. When I came home with my lip pierced, she voiced her disapproval. But honestly, that’s the only time I can remember. I felt secure in exploring who I was because she was there to guide me. We had common sense rules that my siblings didn’t need to rebel against. It’s not a parenting style that works for everyone, but looking back, I’m so grateful for the opportunity to figure it all out on my own terms. She Has a Life: For as long as I can remember, my mom has spent the first Monday night of each month playing Bunco. She got out and reconnected. That probably saved her sanity now that I think about it! But she took the time for herself to peruse her hobbies, stay active, and have fun. Additionally, she spent time with her siblings and extended family. Even though she and her sisters didn’t always see eye-to-eye, they were respectful and kind. It’s how my siblings now treat each other, and how I want my own daughters to interact. She Served Others: I grew up watching my parents volunteer. They held church garage sales, built houses, hosted election polling places in our garage, the list goes on and on. Service was a part of our family dynamic and something that I’m proud we have all maintained. I can see the glory of motherhood in my mom’s handiwork and dedication. Although I spent those darn teenaged years citing how I was different, I’ve spent my first seven years of motherhood trying to be more like my mom. As we near Mother’s Day, I invite you to “Put Your Heart to Paper” and share how much your own mother means to you. It’s not always easy to say, but reflecting on her legacy makes me not only a better daughter but a better mother as well. 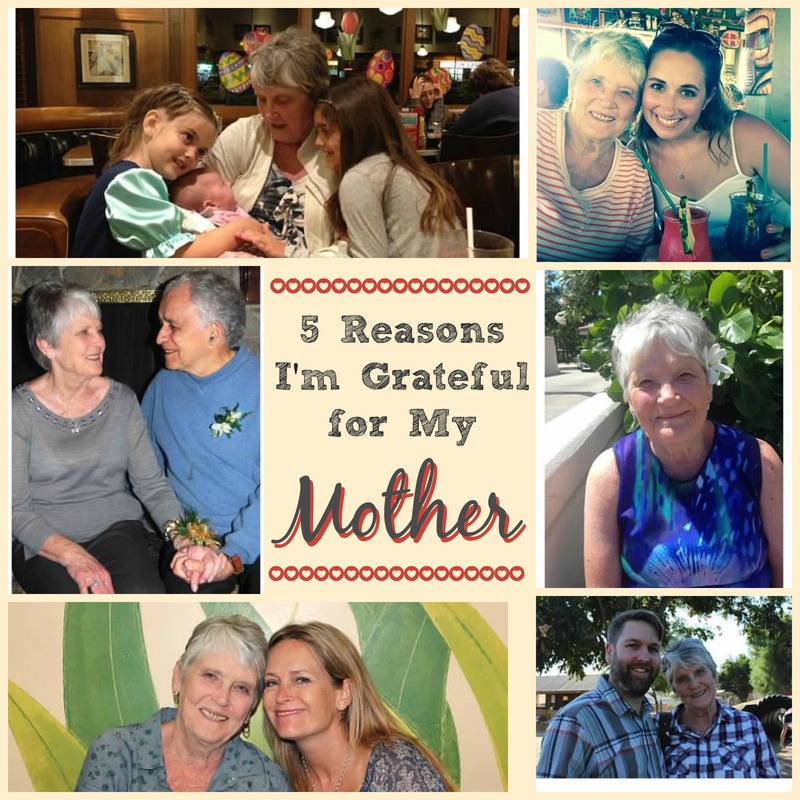 When you think of your mother, what are you grateful for? Your mom sounds like a lovely person. I am so glad that you and she have such a great relationship. That’s great that you have such a good relationship with your mom. My mom is a good sewing person. She enjoys making my daughter dresses and made some for me when I was a kid. What a wonderful tribute to your mom. I think being there and allowing our kids to explore who they are is important. I’m glad you have a great relationship with your mother. She sounds like a person worth looking up to! Happy Mother’s Day! I’m most grateful that my mother kept me close to her heart, but she didn’t hold on too tight. It let me grow without fear and without being smothered. What a beautiful story about your mom. I remember when my daughter was a newborn and how much she helped me. I learned to appreciate my mom more too. My mom did the same for me when my boys were babies. She was a life saver. The older I get the more I appreciate my mom! She has always been there for me even when she probably should’ve shut me out! She’s more of a woman than I have ever met! What a great post, you mom sounds wonderful! I am grateful that my mom is always available if I need anything and all of the unconditional love and support. What a lovely Post. Your mom sounds like one of a kind! Very lovely! My mom passed away years ago, so my memories are quite foggy! Mother and daughter relationships are the best. My mom is my best friend. Your mom sounds like she is great. Happy mother’s day to her!! It sounds like your mom is a really amazing woman! I think it’s so great that you are putting what makes her so special in words so she can treasure them forever! What a touching heartfelt post. Your mother sounds like a wonderful woman! I am grateful that my mom never allowed us to want for anything and raised us with morals and values. Your Mom sounds like an amazing Mother. I am thankful to my Mom for teaching me to be a strong person and to make sure i am happy. What a beautiful tribute to your Mom. I can totally relate to having a Mom so totally different from me we are still at loggerheads on occasion–especially when it comes to what I want to wear-hey some thongs never change-I’m almost 65 and she is almost 93–still vibrant as ever! What a beautiful tribute! Your mom sounds wonderful. I’ve always been grateful for my mom but with each passing year I cherish her even more. She is my rock and I such an inspiration. The perfect image of grace and living by faith, trusting always that God has a purpose for everything. Thanks for sharing such a wonderful story! She sounds like a wonderful mother and one you are proud of. I loved reading this story. Your mom sounds like an amazing woman! This is so sweet and inspiring! It sounds like you really do have one wonderful mom! I feel like once my husband and I have kids, my mother and I will feel more connected. This is a wonderful post to read! Thank you! Well now I feel bad – you posted this beautiful sweet tribute to your mom …and I posted how mine likes Arbor Mist with her friends so they don’t get trashed. LOL – beautiful post, looks like you grew up with wonderful parents! Happy early Mother’s Day to you too! What a beautiful tribute to your mother. My mother crossed over in 2007 and I miss her everyday. LOVE this! And I love that your Mom plays Bunco. I was a part of a Bunco group for years – I absolutely LOVED it. So so fun. It is important to stay connected as women and not just Moms. Yes, I think my opinion of my Mom changed almost overnight when I became pregnant with my first child. Now that I have a few more years under my belt I appreciate all she did for me. Being a Mom is tough and I cherish all those little moments we had together. I’m very thankful that my Mom has always been there for me. What a fantastic post! I definitely appreciated my parents more once I had my daughter. Like you, my mother and I are very different so it was challenging growing up. I love this post! Isn’t it amazing how amazing our moms are when we look back? Your mom is an amazing lady! Your mom is beautiful! Definitely appreciate your mom while she’s still here on Earth! What a great post! Moms aren’t always appreciated, and yours seems wonderful! You have a great mom! I am blessed with an awesome mom too! She sounds like a wonderful example and you are very lucky! A great mom is such a gift! This is so very beautiful! I can only hope that my children feel warmly about me as a mom! You’re mom is a wonderful example of the perfect loving mom. I can totally relate to this post. This is such a great post! I’m super thankful for my mom, stepmom and mother-in-law. Happy Mother’s Day!